They are a modified protein that is injected into small facial muscles to temporarily relax these muscles. This results in diminishing the facial wrinkles in the area of the injection. The injections are for cosmetic improvement and are FDA approved. The protein is diluted and modified for the use of blocking contractions in facial muscles. This causes localized muscles to relax which results in a decrease of skin wrinkles in the area which is treated. It can be used for forehead, crows feet lines and in some cases lines around the mouth. It is especially good for the lines between the eyebrows. They have been used for approximately 20 years in the treatment of some neurological conditions such as facial spasms. They can take 7 to 14 days before results are seen. The results are temporary until the BOTOX® Cosmetic wears off. The results of BOTOX® Cosmetic and Dysport are variable in different people. It can last anywhere from three to six months. Some people get better results than others. Those with very deep frown lines or thick forehead muscle may not loose the wrinkle completely although it will be less deep and give a softer appearance. There are a small group of patients who do not respond to BOTOX® Cosmetic or Dysport at all. Occasionally, bruising, mild swelling and headache can be experienced. On rare occasions some patients may get slight depression or drooping of their upper eyelids and eyebrows. Patients are instructed not to bend over, lie down or exercise for 4 hours after they are injected. Also do not touch or massage the site for at least 4 hours after treatment. Normal activities can be resumed completely the day after treatment. BOTOX® Cosmetic and Dysport are injected with a very small needle. It causes as much discomfort as a small injection. Cassis Dermatology & Aesthetics Center charges by the unit, not per area. Average cost per area is $250-$500 per site. 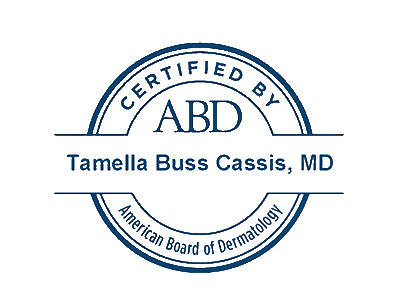 The staff at Cassis Dermatology and Aesthetics Center is trained to use botox cosmetic and dysport.